Whether your tile was installed recently or it’s already been there for many years, you may be surprised to find cracks in the grout. This can be caused by many different factors, including faulty installation, poor materials or environmental conditions. 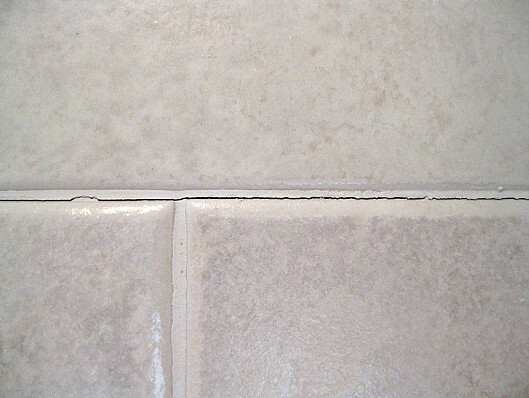 Whatever the reason, it’s important to address the problem as soon as possible and replace the damaged grout joints. When you discover cracks in your grout, it’s important to understand the cause. If you just repair the cracks without solving the root problem, your grout is likely to crack again. Furthermore, cracked grout can be the result of a major underlying problem that could lead to further damage if ignored. The most common reason for cracked grout is faulty installation, though this doesn’t necessarily mean your tile installer was purposely negligent. However, properly evaluating the area and the materials involved can prevent many potential grout problems. If the subfloor upon which the tile was placed is not level or the layer of thinset applied beneath the tile is uneven, your grout will likely crack. If this is the case, you’ll need to have the tile reinstalled properly, and either the subfloor repaired or the thinset reapplied. Alternatively, if you have a wooden subfloor, it may be old and weak and move when walked on. To install tile over a wood subfloor, an additional layer of plywood or a layer of cement board is needed beneath the tile. Another common cause of cracking is poorly formulated grout. According to tile contractors in Henderson, Nevada – one of the least humid cities in the country – if too much water or polymer was added to the grout, the grout can evaporate too quickly. This weakens the grout’s structure and makes it vulnerable to cracking. Changes in moisture can also lead to cracking, usually where perpendicular tiles meet, like the joint between the wall and floor. If a newly-constructed house was built with wooden frames, when moisture changes occur for the first time, the frames can dry out and shrink. As a result, the tiles move and the grout cracks. For small cracks, you may be able to solve the problem by purchasing grout that matches the color of your tile and filling in the gap on your own. If you have larger cracks or many tiny cracks, you’ll need a professional to determine the cause of the cracking. In addition, once the grout cracks, water can seep in and get beneath the tile. This can cause damage to your floors or walls, and if not dealt with quickly may require a remodeling contractor to repair the affected area. If the grout itself was the problem, a tile contractor can reinstall the tile with different grout. If there was shrinking in the frame or the house routinely experiences minor shifts in the structure, the grout can sometimes be replaced with a more flexible, latex-based compound. In other cases, a tile contractor may determine that the subfloor is problematic and needs replacing before new tile can be laid. Whenever new tile is installed, always be sure to buy extra grout. In the event that only a portion of the grout needs to be replaced, you’ll have matching grout to use. Additionally, as mentioned above, cracked grout is often caused by installation flaws. Therefore, when hiring a tile contractor to repair your grout, make sure you hire someone who is reliable and has good references. If not, you may face the same problem in the future.